Time until Asuka & Asuka release day! A mysterious invasion force known as the Galaxy Highters invades the Earth in the year 1996. With their abilities in space time manipulation, they are able to invade several time lines in Earth’s history and occupy each one simultaneously. 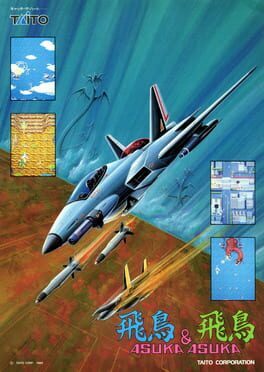 In order to stop the Galaxy Highters, Earth’s militaries design the 'Flying Bird', a jet fighter capable of time travel, enabling it to fly into occupied time lines.